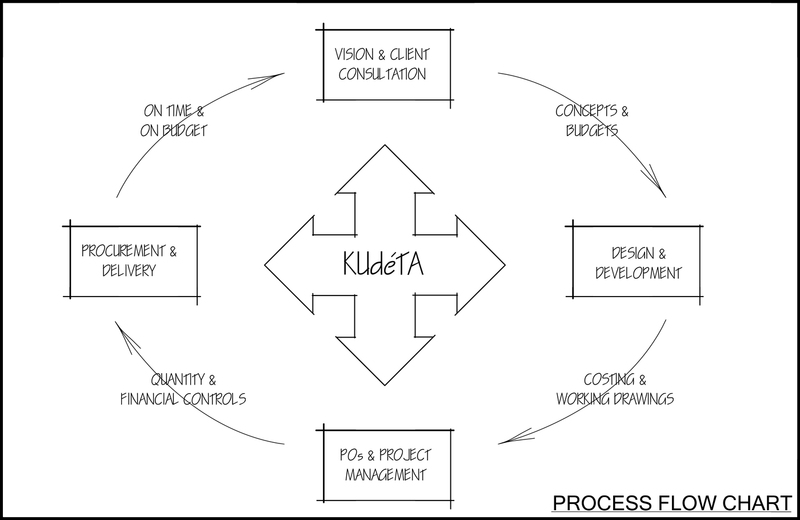 KUdéTA delivers a ‘total’ approach to design. It must, at once, engage the client and produce the desired aesthetic. This requires a holistic process and is the nexus of our one-source program. Process is paramount. Strong relationships are fueled by an intimate exchange of ideas. It’s this collaboration that gives a space a sense of place…. a sense that something great has been nurtured to creation.